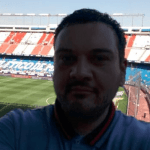 Catello Cuomo (@CatelloCuomo3) previews England v Spain and provides us with his best bets for this UEFA Nations League clash, analysing team news, potential line-ups, head-to-head, key stats and facts and more. England host Spain in both sides first match in this new competition. The UEFA Nations League is a new competition that replaces friendlies with competitive matches, allowing nations to play against equally ranked teams. The four group winners of the top-ranked League A qualify for the UEFA Nations League finals in June 2019. For the remaining sides, there is promotion and relegation to play for, not to mention a potential route to UEFA EURO 2020. Gareth Southgate named his first squad post their successful World Cup, last Thursday. There are inclusions for Luke Shaw, who has impressed in a Man Utd side that haven’t, Joe Gomez and Adam Lallana of Liverpool. Southgate has also included Alex McCarthy and James Tarkowski from Southampton and Burnley respectively. There was no call up for Ashley Young and both Gary Cahill and Jamie Vardy announced their retirement from International football a couple of days before the squad was announced. Some fans were calling for Callum Wilson to get an opportunity after starting the season well, as 2 of the 3 strikers in the squad have not really featured so far this season. Southgate went on record to state “…I felt some continuity was important so those who were with us in the summer deserve the right to again. Others haven’t really had the opportunity to force themselves ahead of the other players”. England finished 4th in the World Cup which was their best finish since Italia 90. Southgate and his team received a lot of plaudits during the tournament and possibly proved a lot of people wrong. Strong performances from certain players like Trippier and not to forget Harry Kane finishing as the top scorer, stand out from the World Cup. They face a Spanish team that began the tournament in dramatic style. They were in crisis as Julen Lopetegui was sacked just two days before their opening World Cup game against Portugal. It was due to Lopetegui negotiating with Real Madrid behind the backs of the Spanish FA. Fernando Hierro was named his replacement for the tournament. The thrilling 3-all draw against Portugal was their only highlight of the World Cup as they crashed out on penalties to hosts, Russia. New Spain coach and former Barcelona manager, Luis Enrique, announced his first squad last Friday, with Jordi Alba and Koke the major absentees. Enrique has opted for youth and has handed uncapped trio Pau Lopez, Jose Gaya and Dani Ceballos a first call-up. He has stated that he wants to revitalise the football that made Spain successful; dictate the play and dominate possession. Regular faces such as Ramos, Busquets and Isco are joined by 4 Chelsea players. Marcos Alonso has been rewarded for his fine start to the Premier League season, while new ‘keeper Kepa, Azpilicueta and Morata are also included. David Silva has joined Pique and Iniesta by retiring from International Football. England – Raheem Sterling has withdrawn from the squad, due to a back problem. Spain – Ex Chelsea Striker, Diego Costa, has confirmed that he will not take part due to personal reasons. They have faced each other 13 times; England have won 6 (including the Euro 96 Quarter-Finals on penalties), Spain have won 5 and 2 have finished as a draw. They last met in a 2-2 draw in November 2016 where England let slip a 2-0 lead, conceding 2 late goals in the 89th and 96th. Spain have won 4 of the last 6 games against England. Spain’s last defeat (in 90 minutes) was a 2-0 loss to Italy at Euro 2016. Prior to the World Cup, England kept 7 clean sheets in their previous 10 games. I’m expecting both managers to take this seriously and name strong starting line-ups. If Enrique has his way then his side will enjoy a lot of time with the ball and this could wear the England team down however, the Spaniards will need to be weary of England’s pace on the break and the threat they pose at set-pieces. It will be an interesting game and I expect the Wembley faithful to be entertained.